Effigy Brewing is an upcoming gypsy brewery based in Santa Cruz. What is a gypsy brewery? It's the casual industry term for a brewery that doesn't have its own physical space, or brewing equipment, but forms a bond with existing breweries to occupy their gaps in production. Why? starting a brewery is prohibitively expensive. Effigy is owned by Santa Cruz local brewers who live on brewer's salaries. Gypsy brewing offers a way to launch a brand with less than a million dollars. Hopefully a lot less than a million dollars. The craft beer industry is also changing. The bubble hasn't burst yet, but there are clear signs that the taproom model is slowing down. The market is not saturated, but we're in no short supply of breweries with their own spaces. With your help, our beers will be available as guest taps at local breweries, at craft beer bars, and at events around the bay area next year. 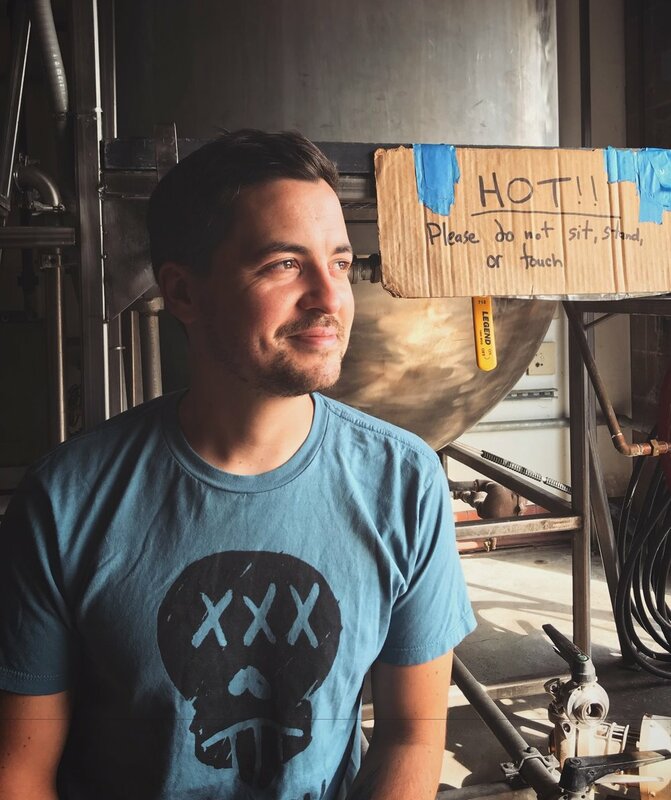 Ben Ward is a Santa Cruz brewer who first discovered his passion for craft beer at a small coffee shop and tavern in Ithaca, New York, where he was born and raised. He learned to ferment discounted Easter Candy from a Cornell Physics Doctoral Student. It wasn't half bad. After a brief time in Brooklyn, Ben ended up in Santa Cruz at Companion Bakeshop where he befriended the Head Baker, Chris Pester, and picked up homebrewing again. Ben left Companion to work at Seven Bridges Cooperative Brewing Supply, knowing that it was the gateway through which all brewer's in Santa Cruz must pass. From Seven Bridges, Ben was picked up as Assistant Brewer at Humble Sea Brewing Company while they were still brewing in a carport in Ben Lomond. Ben helped them develop their voice over two years, moving up to the position of Brewer as Humble Sea opened their tap room and fired up their 10 barrel system. Ben moved on to put in a brief stint at Shanty Shack Brewing, before joining up with Cold Craft Brewing, a contract cold brew coffee, sparkling tea, and kombucha facility in the Seabright area.